The French capital has seen a number of high-profile jewel robberies in the past few years, most recently an audacious heist at the Ritz hotel in January. Robbers have made off with gems worth 300,000 euros ($370,000) snatched from two Indian diamond traders as they were entering a Paris metro station, a source close to the investigation said Friday. 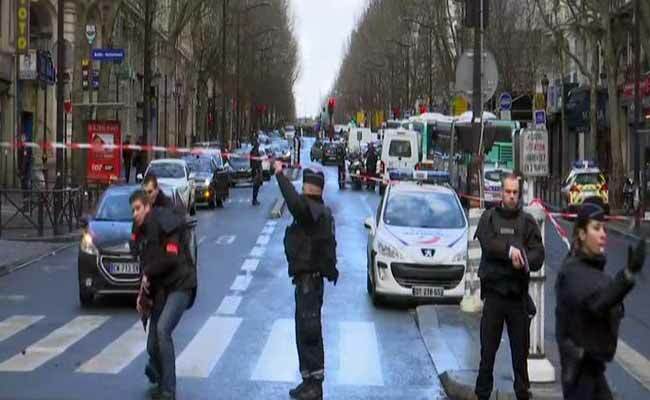 "The two traders were coming back from a business meeting and were attacked Monday afternoon by two men," the source said, confirming a report by French magazine Le Point. "A bag containing several precious stones -- but no diamonds -- was stolen," the source added. "Early indications are that it could have been a premeditated attack." A gang armed with hatchets and handguns burst into the five-star hotel and smashed the windows of jewellery shops on the ground floor, but became trapped by locked doors as they tried to flee. Three men have been charged over the robbery. The thieves made off with jewellery worth at least nine million euros, including a ring worth four million dollars alone.